The Public Authority for Applied Education and Training held here on Tuesday a conference on incorporating e-learning and e-teaching in its educational mission, said the Authority's director Dr. Ahmad Al-Atheri in a speech opening the conference. He said the first stage of the incorporation process has been successfully concluded in consort with the Authority's intention to keep up with the latest changes in education at the post-high school level. He added that it was incumbent on the Authority to take up digital education so that to be able to train others on this new technology. The next stage in education requires the Authority to fully use the internet as a learning and teaching tool, since more so than at any time in the past, the conventional teaching method based on a book and a teacher is becoming progressively obsolete, said Dr. Eissa Al-Meshaie, deputy director of academic affairs at the Authority, in a speech at the conference. The importance being given to e-education is within the national plan to upgrade education in the country and to resort to the latest technologies that boost learning and teaching at the same time, said e-education director at the Authority Dr. Khalid Al-Kandari in a similar speech. E-learning is the use of electronic media, educational technology and information and communication technologies in education. 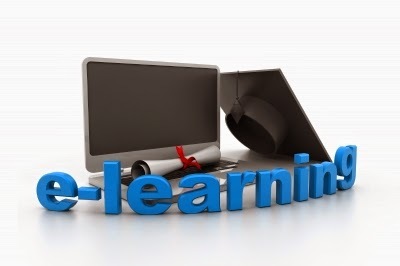 E-learning includes numerous types of media that deliver text, audio, images, animation, and streaming video, and includes technology applications and processes such as audio or video tape, satellite TV, CD-ROM, and computer-based learning, as well as web-based learning.